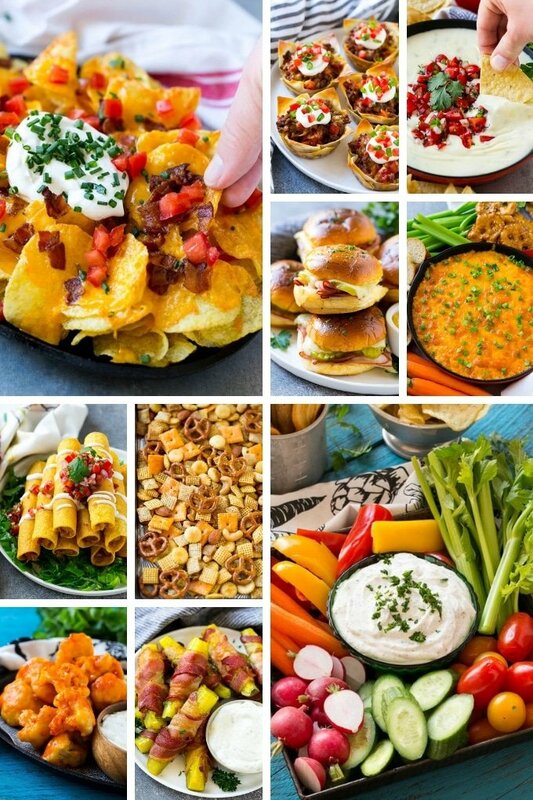 A listing of game day recipes with options for hot and cold appetizers, snack mixes, pinwheel sandwiches, nachos, chicken wings and jalapeno poppers. There are plenty of options to please any sports loving crowd! ‘Tis the season for game days along with the biggest game day of the year approaching. It’s time to pull out all those appetizer recipes and begin planning what you’re going to make for the big day. In anticipation of the Super Bowl, I’ve gathered the perfect list of game day foods for you to choose from. There’s everything from sliders to hot cheesy dips, to finger foods and everything in between. I’m pretty sure this is one of my favorite times of the year. Friends and family come over and you get to choose all the best snack/junk foods the world has to offer. I have so many recipes I always want to make every year but have to limit myself since I can go overboard. The list of recipes I’ve compiled only contains recipes I’ve actually tried myself. 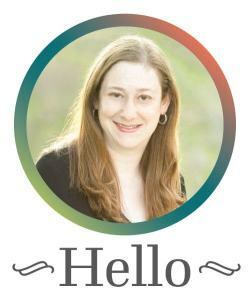 This way, you know they will be a hit since they were a hit for me! 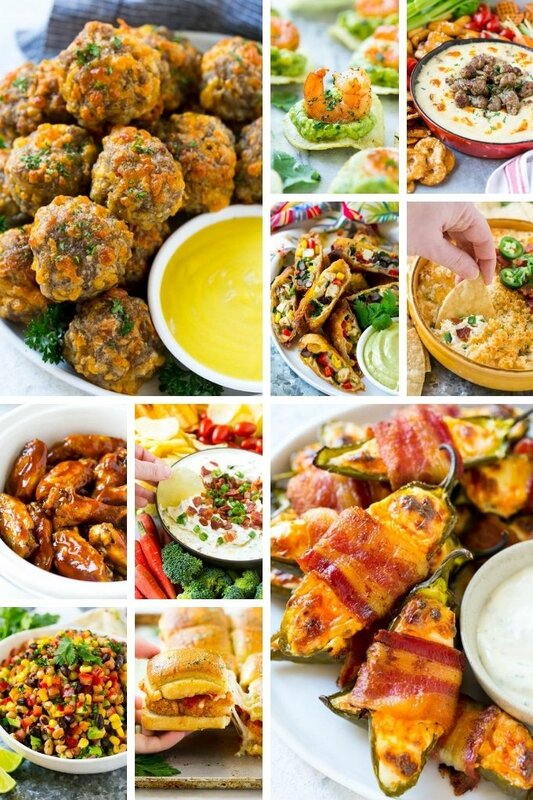 You can’t fail with any of these tasty appetizers because all of them are bursting with the favorite flavors of game day. 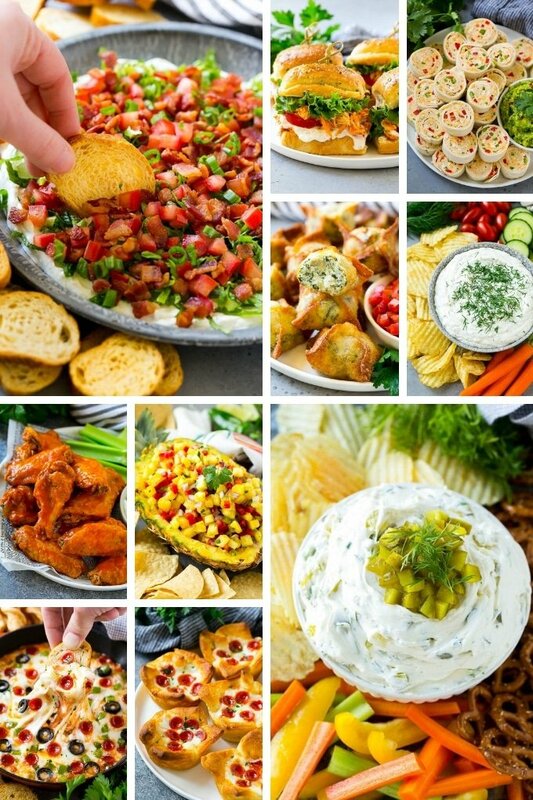 Game day wouldn’t be the same without all kinds of appetizers and delicious finger foods. In fact, I believe the party snacks are half of the fun. 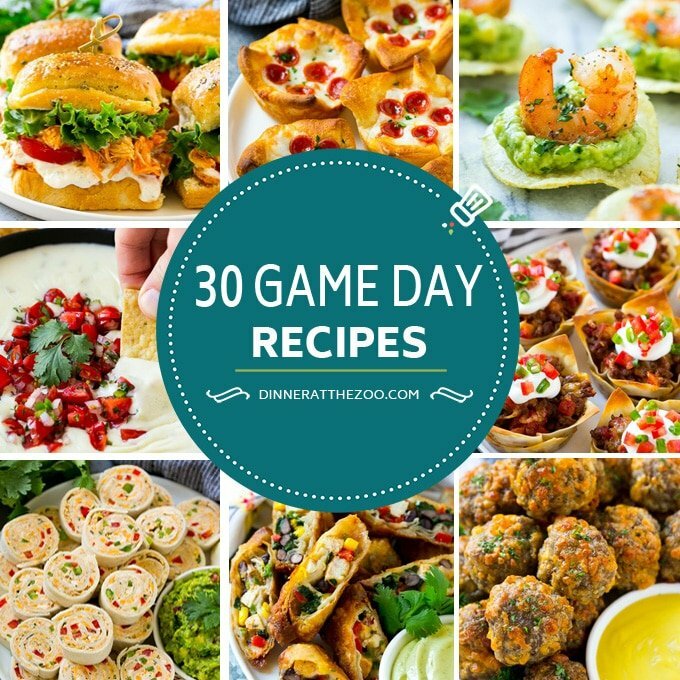 I’m sure I speak for everyone when I say that great recipes for game day are a must and I’ve got the perfect list to get you started. This post was originally published on January 22, 2017 and was updated on January 24, 2019 with new content. YUM! These sound so good. Easy peasy!!! I make bacon wrapped jalapeno poppers too. That is one of our favorites on game days. Thanks for this round up. I will be saving the dip recipes too. I have no idea where I am spending Superbowl even though I will be in Atlanta. If I am invited to a party maybe I can bring one of these dishes. THanks for sharing this recipe round up. I see so many interesting dishes my family would love! As long as there is cheese, backon and chicken it it, it is going to be a family favorite. Pizza, Buffalo wings and jalapeno poppers are a staple in our house during game days. I see a lot of other dishes I would like to make. Taco pinwheels sound delicious. I am checking out the recipe for that. Never need an excuse to make snacks! But, if I’m going to make these, the Super Bowl is a great “excuse”. The sausage Cheese Balls and the bacon wrapped poppers are at the top of my list! Yet another reason to bring out great snacks like these! I may not watch the Super Bowl, but I enjoy the food! These are awesome recipes I can prepare the next time my friends come over. They look amazingly delicious. So many tasty game day options, so little time! I would truly love to try them all, but those Mexican shrimp bites top my list. This is a great list for game day. I like that it has a wide variety of recipes to suit all diets, which is so important to have a variety so all guests can enjoy the party! Sweet appetizer goodness, I can’t wait for our Super Bowl party. It’s going to be QUITE the spread. i love how colorful and appetizing the food ideas are! perfect for game day for sure 🙂 thanks for sharing!